The Australia Time Zone Globe represents a three dimensional model of the standard time zones on the Australian continent and outlying islands. 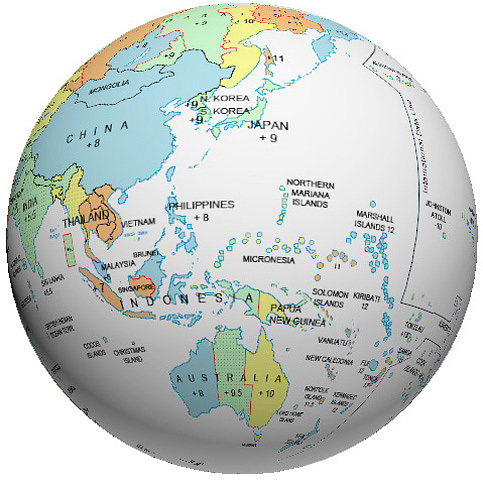 The vertical line shown on the globe indicates the International Date Line which passes near Australia. More resources on our site include a two dimensional Australia Time Zone Map and our Australia Time Zone Section which shows current times.